Box office times Mon–Sat noon–8.30pm; Sun 4–8pm. The building housing this cinema was bequeathed in 1925 to the 'Mayor, Alderman and Citizens of the City of Norwich' with the intention 'that the place should be used for the advancement of education in its widest and most comprehensive sense'. That aim stands true today, as a vast range of events and themed screenings take place at the venue, including showings of documentaries and live recordings of opera and theatre shows. Refreshments are available at the Dining Room. All areas of the building are accessible by wheelchair and adapted toilet facilities are available. 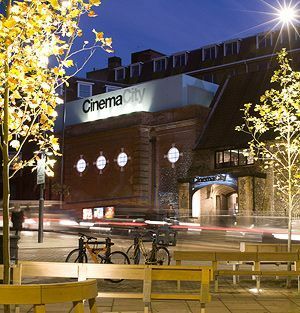 To access the cinema by public transport please note that Norwich Railway Station is a short walk away, as is the Norwich Castle Meadow Bus Terminal.